The glow of the afternoon sun. Oh how I long for it, love it, seek it, enjoy it. It's nice to be outside! I've pretty much been in bed for a couple of days, and I realised just how desperately I needed the rest. It's so nice to sleep, uninterrupted, with the sun streaming in through the windows. This morning Jef and I both spent an entire morning in bed while Kien played around us. Then we finally decided to go and have a late lunch at my Dad's. 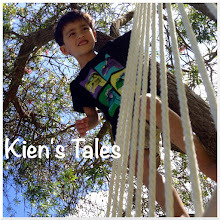 Kien did not nap again today - second day in a row. So he was a little temperamental at times. However, he happily played with my little sister in the afternoon glow. ...and he surprised us with this little gem - he sketched his very first helicopter. Tail roter, landing skids, a door, a window, and a main roter. Tonight we went down to the Viaduct Events Centre to see the Rally NZ cars. We hung around both outside and inside, where they had lots of activities, like slot cars - Kien's favourite to watch. The face of happiness (or is that delirium?). Wow, he really had fun!!! What a lovely day! I am so glad you took some time to yourself to rest up. It's so easy to get run down and meh. That is a great helicopter drawing! Love your photos! The night ones are stunning!